A writers conference isn’t for everybody. Health or family needs, timing (never works out with the day job), distance, travel difficulties may keep a writer from attending. But many understand the value of attending a conference or multiple conferences, if able. The benefits are many, as have been discussed in previous posts like this one. Interaction with writers a step or two farther along in their journey (or whole stairways farther). Networking with potential critique partners. The opportunity to discover your writing strengths and weaknesses. Adding to your knowledge base about the craft of writing, the business of writing, and the publishing industry. Gaining important information about agents, editors, and publishing houses. 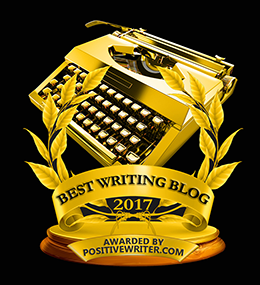 Finding a laser focus for your writing career. GREAT IDEA. WHAT’S THE QUESTION? When finances stand in the way, especially for unpublished authors who can’t tap into their trillion dollar book advance (gross exaggeration alert), are we forced to give up hopes of increasing our skill level and advancing our writing career by attending a conference? Or is it time to pull out the kind of creativity we use for every other aspect of the writing life? Consider applying for a scholarship. Many conferences offer scholarships. But please note that the decisions about scholarships are often made as much as nine months in advance of the conference. If it’s not illegal in your state to sell a kidney, consider that. (My nephew waited ten years for a kidney, so I’m partial to the idea.) If this is the option you choose, allow time for recovery from the surgery and you do know I’m kidding, right? Sell something big you either no longer need. Or sell an item you consider worth the trade-off. That snowmobile that hasn’t been out of the storage shed in four years? The collection of Beanie Babies you thought would pay for your kids’ college and post-graduate tuition? Is it time to reconsider their value? Sell a bunch of little somethings. Many a conferee has paid at least part of the registration or travel expense with yard sale income. They’ve conducted bake sales and lemonade stands and auctioned their housecleaning or landscaping skills to help raise funds. 5. Consider a smaller conference. If a large conference is out of the question, talk to writer friends about their favorite smaller conferences or retreats. A smaller conference isn’t always a better financial deal, but it might make it doable. 6. Look for one-day conferences and workshops that offer quality writing education. 7. Divide the conference costs by 52 and start setting aside that much money every week for the next year’s conference. 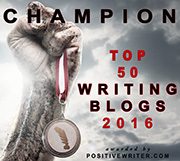 8. Who is your biggest writing cheerleader? Have you pushed aside that person’s offer to help you reach your writing goals? The next time they ask how they can help, suggest contributing to your Writers Conference Fund…and offer to name one of your characters after that person in your first published novel. 9. Make it the only item on your Christmas/Birthday/Anniversary/Valentine’s Day/Mother’s or Father’s Day wish list. When family and friends understand how much it means to you, and that you really will be satisfied foregoing the box of chocolates and wrist corsage (this one year), they may be happy to help make it happen for you. 10. Can you afford the conference recordings if you can’t attend? It’s not the same as being there, but you’ll gain insights and instruction you wouldn’t have without them. 11. Temporarily give up something less important to you–expensive coffee drinks, eating out frequently, buy-with-one-click impulse shopping–to help pad your conference fund. 12. Ask your tax preparer if you can write off the conference expenses. In many cases, the answer is yes. That may at least make it seem more affordable, and boost your opinion of yourself as a legit writer. 14. If you receive a tax refund this year, consider setting some of it aside to pay for next year’s conference. 15. If you can’t afford the full amount to go to a conference this year, consider helping another writer get there. That kind of generosity often shows up on your doorstep in the future from delightfully unexpected sources. 16. Look into a seasonal job (Christmas, harvest) where a short-term commitment can earn you enough to reach your goal. Any inconvenience the job might cost you will be mitigated by the target at which you’re aiming. 17. Start a personal “conference club savings” (like a Christmas club) for yourself through your credit card rewards. Save all cash-back rewards for the year for the purpose of growing your Conference-or-Bust fund. 18. (Added this one because it was the inspiration for the blog and I neglected to include it at first.) If you’re traveling by air and during a layover, the gate agents ask for volunteers to be bumped and take a later flight in exchange for a travel voucher, jump on it, if you can. Use the voucher to cover the flight costs (or most of them) for your trip to a writers conference. 19. Did I say 50 ways? There must be. But they won’t all come from my imagination. What ideas do you have to add to the list? I didn’t have the time off work for a full conference. I did just one day, close enough to drive with an overnight and an early commute to work the next morning. I picked the day with the presentations I most wanted, and threw my heart into all of it. Intense, short and cheap. Throwing your heart in is a great plan! why not rob a bank? on the news at five. from those in the ‘FBI’ hat. you’re doing twenty in the pen! Yes, Rob a bank! What a great way to research for a story! And plenty of time behind bars to write the story. Nope, not worth it! ? Grinning, Andrew. That was a fun poem. From middle Kansas, travel expenses are a major item. My ticket to ACFW in Dallas a number of years ago cost me $12.00. I used my credit card reward points for the remainder of the ticket. My credit card is used only for internet purchases (rare) and pay-at-the-pump gas for my card. Just a thought. Love this idea! Saving reward miles for the airline ticket is wonderful. Here’s another. A major idea I intended to put into the post. If you’re traveling and have spare time, consider being bumped when the gate attendants ask for volunteers. Use the flight voucher specifically for the flight to a conference! This was such a creative post, Cynthia. One thing that I do to alleviate some conference costs is to room with others at the hotel. Also, my hubs travels, and one of the benefits that comes out of that is that he lets me use his airline miles to pay for my plane ticket to conferences. Great thoughts, Jeanne. Rooming with others is a good way to build long-lasting friendships, too. Judith’s suggestion that we remember points or miles we have is good. I appreciated your list of benefits. What I’ve learned from the more experienced is that it’s wiser to view the contacts and knowledge available at conferences as more important than ambushing already besieged agents with my brilliant elevator pitch (though that does need to be ready to go). Your point is not only valid, but much appreciated! When my father died, I knew he would approve of me spending a part of my inheritance to attend a writer’s conference. The six months after he died from a long exhausting illness, I felt like my brain had defragged. I wrote six pieces with the reacquired brain space. So, even though it was a lot of money for us and even though I knew nothing and no one there, off I went. My writing career started at Mt. Hermon that weekend. I was not published until eight years later, but everything about my writing life (9 books later) began at that conference. My parents, both, would have applauded that decision if they’d ever known. I’ve also been participating with two writer groups on Facebook in January. Patricia Durgin’s Marketer’s on a Mission is more focused on the marketing end, but full of valuable insight and interesting hour-long discussions. Free and live on Facebook. 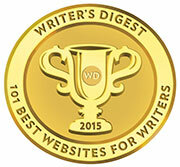 Tricia Goyer also leads an in-depth subscription-based writer’s conference on Facebook. It’s called Write that Book. She has interviewed maybe 50 publishing professionals, provided worksheets from them as pertinent. She’s also written excellent weekly units to help folks learn how to be professional writers. I don’t remember the cost. Cynthia and I were both interviewees. Done at your own pace, in your own home, it’s obviously not as expensive as attending a writer’s conference. I’d start there, frankly, if I was beginning now. Great ideas, well except the kidney one! Cynthia I have recommended people to apply for scholarships and several have gotten them. Change…I counted $130. in quarters last week that I’d collected in a year. That goes a long way. Babysit. Young parents love to hire responsible people to watch their children. Or do like me, win a raffle and take cash prize option! Love your creative ideas, Daphne! Back by popular demand. Or something. so I borrowed it from Guido. and would set the world on fire. and I’m on the road to Paraguay. Our laugh for the day! Check out your local ACFW (American Christian Fiction Writers) chapter to see if they host a one-day workshop. They often cost less than $100 and might not involve any overnight expenses if they’re local. Twice I’ve driven 400 miles one way to the Colorado Springs chapter’s workshops, and boy, was it worth that 800-mile trip each time! The registration even included breakfast and lunch. *The ROI of these can be huge. 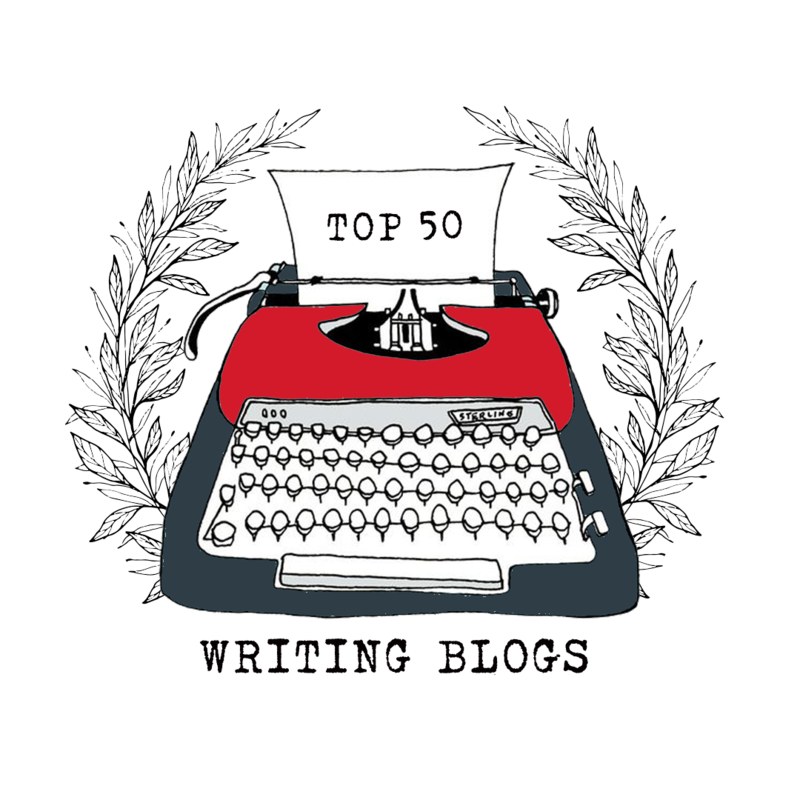 At the first, a five-minute conversation with the former head of fiction at Thomas Nelson told me I would have to go indie to be able to use my novels creatively to support mission. At the second, I spent a day learning specific techniques to make my writing sing arias, not kiddy songs. I’m going again this year and taking a fellow writer who is just starting on the journey toward publication. We have a wonderful local conference that is within my budget. Which is great! Something you might not have thought of, if there is a big conference within driving distance of you, but you can’t afford to attend, consider entering that conference’s writer’s contest if they run one. That way, if you final, you can attend just the awards night (which is usually affordable) and have a great time, get your writing out there for people to see, and maybe even meet an agent or editor as you nibble desserts together and hope for a win! Maybe hire out as a “hit man” (or in this case a woman?) I have an eye missing, but I’m still fast on the draw…with a pencil that is! Thank you, Cynthia for all of the much better ideas. What a fun post, Cynthia. When I couldn’t afford conferences, I looked for online options. Also, if you’re close enough, could you get involved with the planning of a conference if they offer discounted or free admission to planning members? Great idea to get involved as part of the planning of a conference, or serving, for the conference that give compensation of some kind to their volunteers. Love the ideas that are flowing. I have always had to be frugal or creative to afford even the local writing conferences I’ve been too. I thank God I live in the suburbs of Minneapolis/St. Paul in Minnesota. Every year I have been able to attend at least one conference in our area. Now, for the third year the large Northwestern Christian Writers Conference will be held in St. Paul in July 2019. I attended both years prior, and thought it was wonderful- even met you, Janet, and Wendy there. I loved that! This past Christmas season I worked my first job since 2009 when injuries from homecare nursing placed me on long term disability. I had five surgeries in two years and have lasting challenges due to the injuries. This past fall God placed it on my heart to apply for a seasonal job and my hubby agreed. We needed the money for Christmas and for writing and equipment needs. We also wanted to see how my physical issues would handle the increased use. God blessed. I was asked to apply and interview at Polo Ralph Lauren at the outlet mall, and was hired. That was the extent of my looking, a miracle for sure. I did have to quit at the end of January due to some of my disabilities acting up. However, I made enough money for giving, for Christmas gifts, and to pay for the Northwestern Conference. I also bought podcasting equipment, and today I’m ordering a video camera with a microphone, night vision, and a couple additional lenses for creating videos. I didn’t make much money per hour, certainly no where near the hourly wage I made as a nurse, but I asked God for wisdom in how to use the money, and for quality items without going over budget. Since it was during the Christmas season I was able to get some nice prices. I made just enough to cover these purchases and still have enough to pay my yearly fee as a member of MN NICE, our local ACFW chapter, and pay for my WIX fee for my website. I am a true believer in God hearing prayers and making a way where there seems to be no way, albeit it the ways might be ways that stretch us outside of our comfort zone. Yes, I noted the typos. Ugh. That was a great story, Elizabeth! Love it, Cynthia! Quite fun. You may yet make 50 with all the great suggestions. Something that has worked for me is copping the notes from someone who attended. The couple of conferences I have been able to afford I always bring home my notes/handouts for my writer friends. Although it is not the same as being there, sometimes the references in the handouts are pure gold.